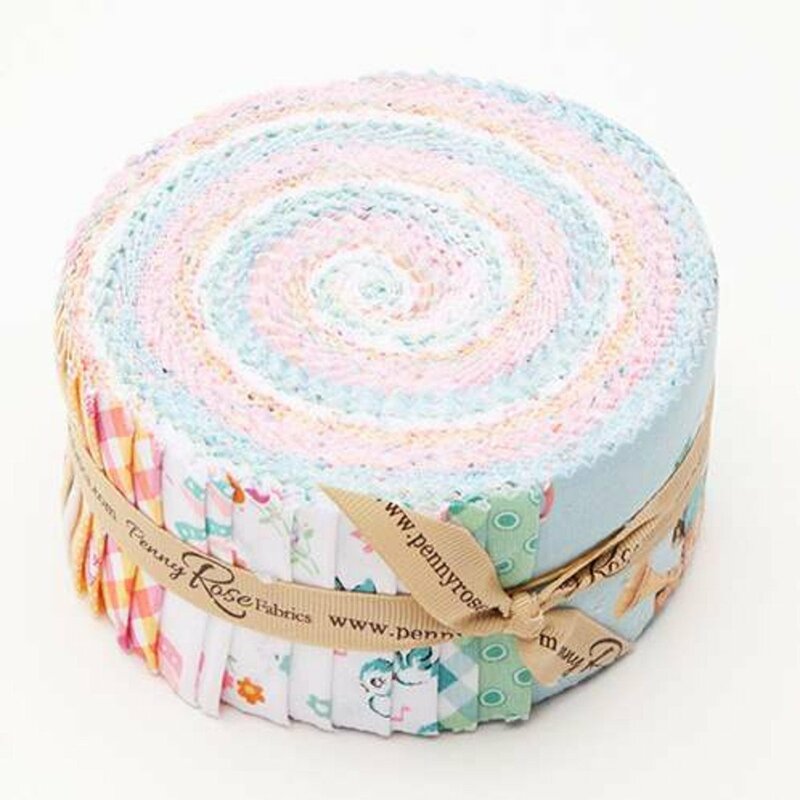 RP-8130-40; 2.5" Rolie Polie Bundle - Perfect Party by Lindsay Wilkes. 40 - 2.5" strips. Bundle includes 2-3 pieces of each print in the fabric line. 100% cotton fabric.